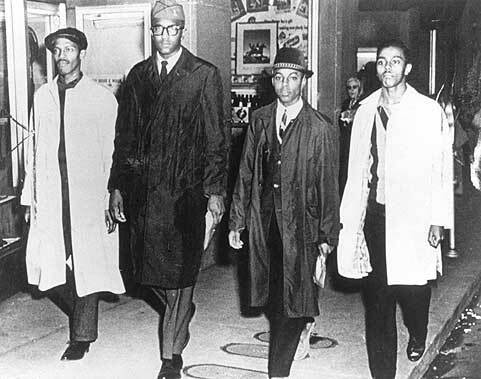 Though the peaceful protest of a sit-in had existed for years before the four A&T students entered the Woolworth’s on February 1, 1960, their actions sparked a movement across the eastern United States that had a lasting impact on the Civil Rights Movement in the United States. 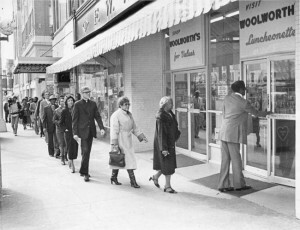 The Woolworth’s Store, located in downtown Greensboro, allowed black customers to purchase food, but only for take out – they were not permitted to sit at the counter alongside white customers. On the first morning of the protest, after days of careful planning and discussion, A&T freshmen Franklin McCain, Joseph McNeil, Jibreel Khazan and David Richmond ordered their food at the counter and, instead of leaving with it, chose to remain seated at the counter until the store eventually closed. 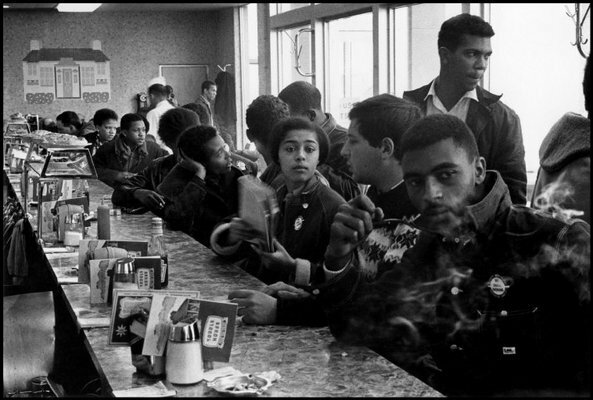 By the next day, African American students from other local colleges had joined the protest as well and studied as the servers continued to refuse service, under store policy. By the fourth day, more than 300 people were taking part in the peaceful protest. Within a week after the Woolworth’s protests began, the idea had spread like wildfire to other communities, including Winston-Salem, Richmond and Nasvhille. Despite continued heckling from white customers, the protesters worked in shifts to ensure some were seated at the counter in protest at all times. As a result of the Woolworth’s protest, the company’s sales dropped by a third and the store’s owners made the decision to abandon segregation policies and officially integrate the Greensboro Woolworth’s lunch counter on July 25, 1960, asking the black servers to be the first Africans American at the counter. The next day, the entire chain was desegregated. Because the local media covered every day of the Woolworth’s sit-ins from when it began, the impact of the protest became wide-spread, as the growth and effect of the demonstration was proclaimed in the press. Besides leading to similar protests in other states across the country, the sit-ins elicited a public statement from then President Eisenhower, who said he supported the students and expressed sympathy for those fighting for their human and civil rights. Information Courtesy of interviews with Amelia Parker and Anita Johnson, staff members at the International Civil Rights Center and Museum, as well as museum archives. my fruit loop cyber bully, B doing a sit in, complaining that they cannot B finding no real friends, that will B their friend, because they B a bunch of fruit loops, is the reason why! oh, ha, ha too funny for me! that fruit loop cyber bully, B something pretty damn funny to B laughing at!